There are no re-dos, so it’s important to choose a company with the talent and reputation to make your Simcha unforgettable. Talent cannot be duplicated, and it takes a special talent to entertain 13-year-olds and adult friends and family at the same time. Our team has perfected that skill, using natural, engaging, exciting, and likeable personalities to encourage all of your guests to party on the dance floor. After all, that’s where you want your guests to be, right? 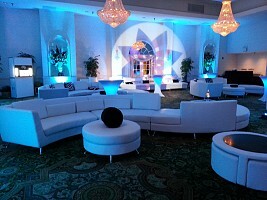 Adding our innovative lighting and multimedia production sets can take your Simcha to the next level. 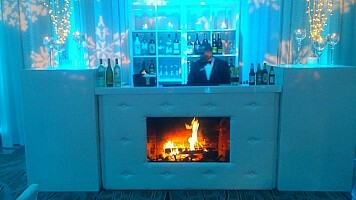 We can help transform your event space, offer creative ideas and input, design your video montage, highlight your cocktail hour with fun novelties, enhance your décor with lounge furniture, and more! 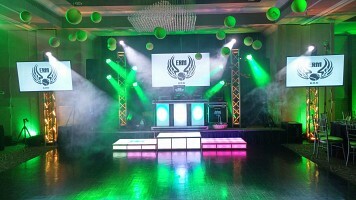 We’re committed to hearing your vision and help bring it to life, offering a unique experience to each and every event. Whether whimsical and elaborate or simple and sophisticated, we’ll ensure your once-in-a-lifetime celebration is perfect for you, your family, and your friends. Managing an event isn’t easy, and the less vendors you use, the easier it will be. 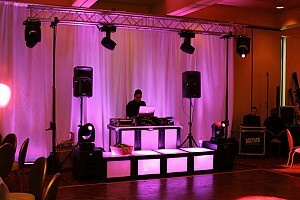 A flawless event consists of entertainment, lighting, design, and décor. We do it all to make your life that much easier and your budget go even further. We’ll help coordinate with other vendors on site, craft a timeline for a seamlessly flowing event, and answer your emails and phone calls promptly and efficiently so you can just enjoy the day. Entertainment can make or break your celebration. Guests won’t remember how perfect the steak was cooked or if the invitation was gorgeous; they will remember if their feet hurt from having an amazing time! Our talented staff consists of young and experienced MC’s, DJ’s, and Dancers that know how to encourage your guests to participate, keep the energy through the roof, but always maintain the focus on your child. We aren’t phony, tacky, or in-your-face performers. Rather, we are dedicated entertainers that want your guests to be a part of the action, not just standing there watching it. Your son will feel like an MVP and your daughter like a Rockstar. Then you’ll feel like the greatest parents ever. 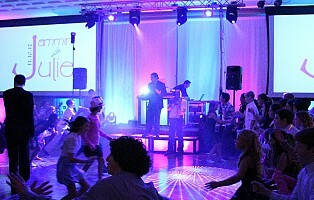 We call it the “VIP Pre-Party” because it helps get your guests in the party mood, so make sure it’s fun! Cocktail hour can often set the tone for the rest of your party, so don’t neglect this time when planning. 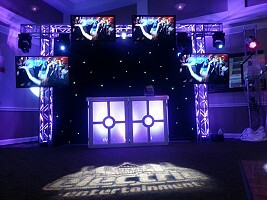 We offer novelty entertainment, live musicians, photo stations, casino tables, arcade games, and more to enhance your cocktail hour, too. Pictures say a thousand words, but video can say even more. Our videographers use HD cameras to capture every moment. We’ll edit down several hours of footage to artfully tell your child’s story, letting you remember this celebration forever. 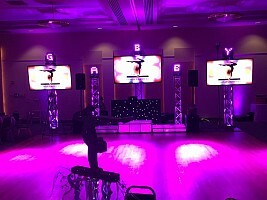 We can also help create a photo or video montage and use state-of-the-art projection screens and flat screen monitors to display it at the party. Plus, we include graphics, logos, music video mixing, and other multimedia content so the video display becomes an intricate part of your event’s décor. Luxurious and chic lounge furniture is a great substitute or addition to ordinary seating. We offer versatile white and black lounge furniture pieces with themed color accents, like throw pillows, area rugs, and lamps, to create a beautiful and modern club-style area. We pride ourselves on the ability to interact with both kids and adults of all ages, using natural personalities and over 15 years of experience. Our staff is continually trained on how to engage your guests, make them feel important, and encourage them to participate. That’s what leads to the fun! 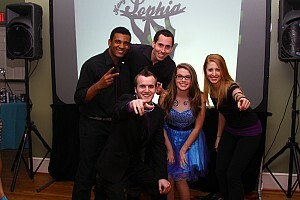 Our dancers are true professional entertainers, not random high school cheerleaders just dancing around. Anyone can tell you to put your hands up or clap to the beat, but it takes specific qualities to make your guests feel comfortable to get involved. That’s the difference. 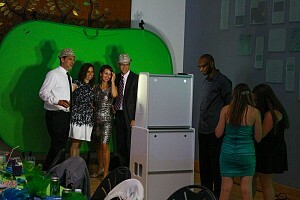 Although our MC’s are energy people, they also know how to flawlessly execute the perfect party. You’ll get to sit down, in person, with your MC, discuss music and games, talk about exciting options, and even create a timeline and flow to best take advantage of your event’s timing. Plus, you have access to our online planning database where you can submit song requests, select your favorite games and contests, submit candlelighting information, and more. Lastly, all of your phone calls and emails are returned promptly by someone with a vested interest in the company, not just a secretary or an agent. 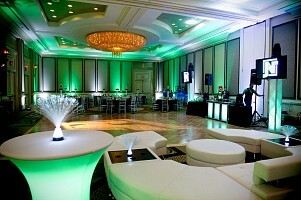 Lighting and décor can completely transform your event space. Because sight and sound go hand in hand, we’ll help you complement the excitement of your entertainment with visual stimulation. When your guests walk in the room, we want jaws to drop and eyes to widen. 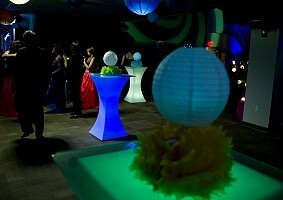 Your theme can come to life with lighting and décor options you may have never thought possible. 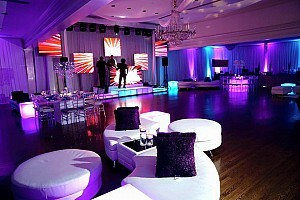 Our event experts will help bring that vision to life, and because we do it all in-house, your dollar goes even further.